When you play hard, your sporting goods equipment takes a beating. John's offers maintenance and repair services that will extend the life of your equipment. 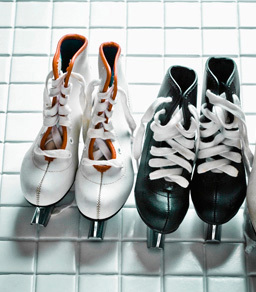 Our services include baseball and softball glove lacing, restringing and re-gripping handles of tennis and racquetball racquets, and sharpening of figure and ice hockey skates. Your cherished glove is still good! Our lacing services allow you to keep that favorite, broken-in glove a little longer. 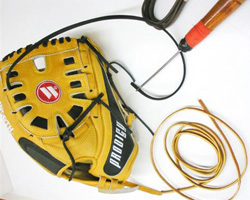 We provide lacing of both baseball and softball gloves. Over time, your tennis and racquetball racquets need a few repairs. It's not uncommon to break a string when you play intensively. 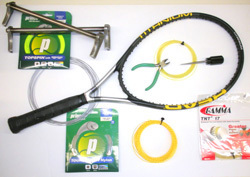 Bring in your racquet for restringing and grip replacement. We'll have you back on the court in no time.